R.E.M., the legendary college rock band, has a deep catalog, and it's a risky enterprise to try and count down the top 10 R.E.M. songs of the '80s. Although it might be a can't-win situation, here's a chronological look at R.E.M. 's top songs of the decade. This well-known tune from the Athens, Ga. band's 1983 full-length debut sets the tone for R.E.M. 's early sound, which depended heavily on Peter Buck's arpeggiated guitar style and Michael Stipe's low-pitched, murmured and sometimes marginally intelligible vocals. These components, along with esoteric elements such as fragmented, opaque lyrics and the use of a foreign language ("Combien? Combien? Combien du temps? "), further lend to the haunting air of sophistication. This tuneful, Gothic folk rock was far from all R.E.M. was capable of, but it was a fine start that introduced moody Southern jangle pop to a decade in need of the sonic variety. Sporting playful rhythms and a noticeably bouncier sound, this distinctive change of pace, also from Murmur, reveals R.E.M. 's versatility, substantial even at this early stage. 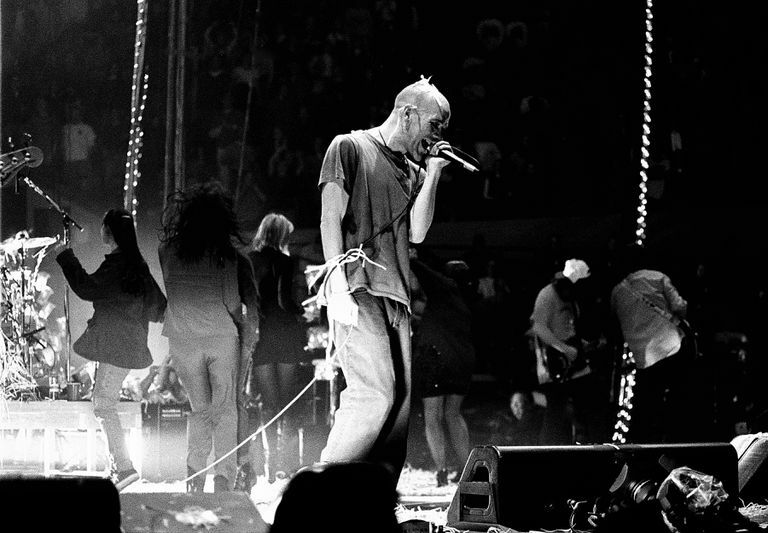 The band's lyrics may not have been all that meaningful at this point, but Stipe's muted poetry immediately had a way of being evocative and distinctive. More importantly, the tune provides an early example of one of R.E.M. 's more underappreciated trademarks, the harmony and background vocals of bassist Mike Mills. Speaking of harmonies, Stipe and Mills amp up the vocal blending on this interesting, jangly tune that depends heavily on well-placed pauses, stops and starts to make its impact. Again, the lyrics are pretty much an afterthought, unless you're an R.E.M. enthusiast who enjoys digging for pockets of meaning as some sort of esoteric amusement. The song achieves a fascinating imbalance between the gentle, Byrds-esque guitars and an edgy, jagged sense of anger that imbues Stipe's performance. Here is what may be one of contemporary rock's most delicate melodies, a stunning display of stark beauty that builds up wonderfully from the verse to a plaintive chorus that generates more questions than answers. And while that sense of mystery was always a hallmark of R.E.M. 's '80s sound, the aching and longing within this tune are nearly tactile, like the weight of humidity hanging on your neck. Stipe's true gift is making it not matter that we don't know precisely what he's sorry for. The band's affinity for country rock surfaced in 1984 and reached a peak here, as Peter Buck took every opportunity to introduce chiming guitar flourishes during the tune's languid breaks between lyrics in the verses. Stipe also brings his lyrics around to social commentary, at least on a mild basis, as the song touches on despair in modern life more directly and literally than before. R.E.M. 's early music often drew heavily from melancholy, but sadness has rarely been this pleasant. R.E.M. 's '80s catalog has always had an uncanny ability to be transcendent and ethereal at the same time, almost wispy at its essence. Similarly, the band's songs often have a way of being about so much and so little at the same time. These phenomena continue on this engaging tune from 1985, which takes on the literal and figurative feel of a journey. In this way, "Driver 8" feels reflective of life's mysteries. Most listeners acknowledge a bit of an eco-friendly message flowing from this song, but the meat of this gorgeous composition is something much less specific than threats to the natural world. As is often the case in R.E.M. 's music, the general mood is at least cautiously contemplative if not downright uneasy. "Fall on Me" most efficiently communicates feeling and emotion even if it refrains from making a clear statement regarding what exactly it's about. While '80s-era R.E.M. doesn't change gears too often from a tone of melancholy, this positively joyful-sounding tune from Life's Rich Pageant generates quite a bit of playful fun through its straightforward rock approach. Never before, or after, has Mike Mills played such a prominent role vocally, and that freshness really takes this track to another level. While it may have ushered in the beginning of the band's truly commercial appeal, that doesn't mean it's a cynically calculated change of direction. Covering an obscure classic from Texas band The Clique, R.E.M. takes this one and makes it their own. For many years, this track from 1987's breakthrough Document was a favorite R.E.M. song, even if it employs that annoying rock and roll habit of deliberately mismatching the title and chorus. For many, this is still counted among R.E.M. favorites today despite my gradually rising appreciation of the band's dense, rich oeuvre. What really works is Peter Buck's insistent, edgy and almost grinding guitar intro, which conflicts interestingly with the beauty of the melody. This well-known track is no exception from the Chicken Little defeatism that's often embedded in R.E.M. 's '80s output. The near-rap of the verses has never held much appeal for some, but the song works anyway because of the crotchety pre-chorus, "Offer me solutions, offer me alternatives, and I decline," which leads directly into the unflappable chorus.